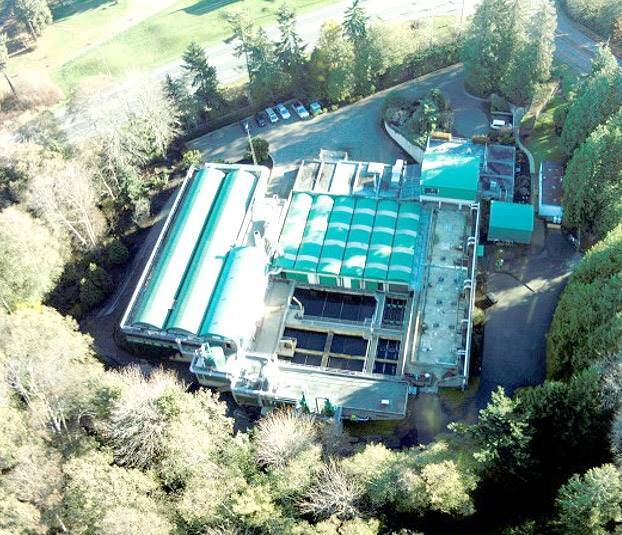 Wastewater from approximately 27,000 people and businesses in Qualicum Beach, Parksville and the service areas of French Creek, Pacific Shores, Surfside and Barclay Crescent flows to FCPCC. FCPCC also treats trucked waste from homes with septic systems and holding tanks. FCPCC currently provides Secondary Treatment with Trickling Filters to remove more than 90% of biological oxygen demand and total suspended solids and comply with provincial and federal environmental regulations. Treated effluent is discharged into the Salish Sea at a depth of 61 m, 2,440 m offshore. Biosolids produced are used in the RDN's Forest Fertilization Project. To learn more, visit our Treatment Processes and Biosolids pages. incorporate extensive odour control upgrades for the existing plant as well as odour controls for the expansion site. The project has an estimated completion date of early 2022. For more information, please visit the project website on the RDN Get Involved page.